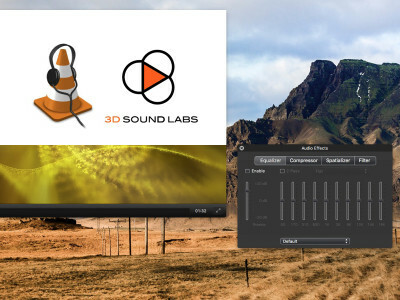 3D Sound Labs, the 3D/VR Audio French specialist, and VideoLAN, the editor of the world's renowned VLC media player jointly announced their collaboration to bring world-class experience to 360° video and 3D audio content in the upcoming version of VLC. The release 3.0 of VLC introduces 360° video and high-quality 3D Audio rendering. It supports multichannel and well as ambisonics audio content up to 3rd order ambisonics. 3D/VR Audio specialist, 3D Sound Labs, announced that its 3D Audio technology is ready to be used for content production by professional audio creators and artists at the MainBerlin Studio in Berlin. 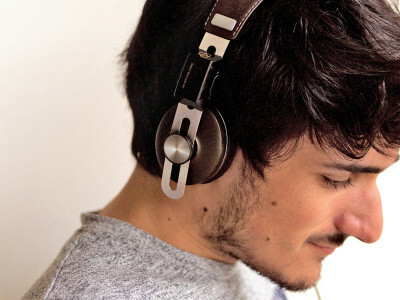 The studio is the first to deploy the 3D Audio solution provided by Sfëar, Eurecat’s brand for binaural 3D audio production tools, as a result of a private joint initiative with 3D Sound Labs, and Voodoopop. The companies are also involved in the newly formed BINCI consortium, together with measurement experts HEAD acoustics. 3D Sound Labs, the 3D/VR Audio specialist, announced a collaboration with Microsoft to work on research about spatial audio systems and develop new uses for 3D Audio. After benchmarking the offerings available today on the market, Microsoft selected 3D Sound Labs based on the performance of its 3D audio head tracking module. 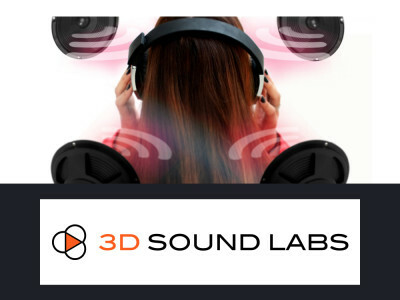 3D Sound Labs' solution brings accuracy, a high sampling rate and very low latency, which are important characteristics of a high-quality 3D Audio rendering. 3D/VR audio specialists, 3D Sound Labs, announced the availability of the latest version of its VR Audio Kit, an Ambisonics SDK optimized for 360° mobile players. This technology has been jointly presented in September at IBC 2016 in Amsterdam together with solution provider for content delivery Viaccess Orca. The demo of a 360° VR mobile video player with High-Order Ambisonics (HOA) audio, running on a smartphone, was playing a 4K 360° video along with a compressed 3rd order Ambisonics audio stream. 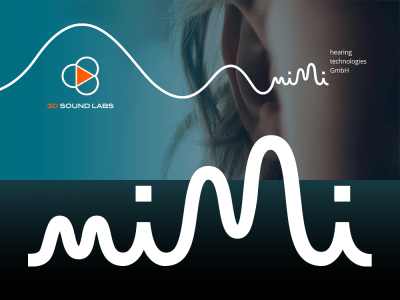 3D Sound Labs, the French startup and pioneer in 3D sound, is announcing a contest for mobile developers and calls on creative minds to shape the 3D sound smartphone apps of tomorrow. 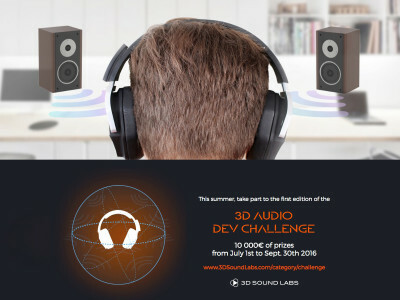 The 3D Dev Challenge summons participants to develop an innovative app (iOS or Android) using 3D audio. Contestants can send their projects until late September 2016. Winners will be awarded a total price of 10,000 euros.